Posted January 26, 2018 by Dr. Ehrenman & Dr. Khan & filed under General Dental Articles, Oral Care. Seeing a pediatric dentist regularly is important to the health of your child’s smile. But in-between visits things can happen that may require a visit sooner rather than later. At our Long Island pediatric dental office, we want to encourage all parents to schedule an appointment as soon as possible if their child is experiencing any of the following symptoms. Every child loves digging into a bowl of cold ice cream or sipping a steaming cup of hot chocolate. But if they start to avoid some of these hot or cold snacks, they may be suffering from tooth sensitivity. Occasionally this sensitivity may go away on it’s own. Other times, it may be an early sign of tooth decay. It’s best to have your trusted pediatric dentist check it out. Trauma to children’s teeth happen often. And whether it’s caused by a playground accident or sports injury, it’s important to get the tooth looked at by a dentist. Baby teeth hold the space for permanent adult teeth, aid in proper speech development, and help properly chew food. If one is lost before it’s ready, it could lead to other oral health concerns. White spots are usually either an early sign of decay or a symptom of too much fluoride (referred to as fluorosis). If the spots are a sign of decay, they will eventually turn yellow or brown as the decay progresses. However, if caught and treated in the early stages the decay can actually be reversed. Your pediatric dentist can help determine the cause of these white spots and the best way to treat them. 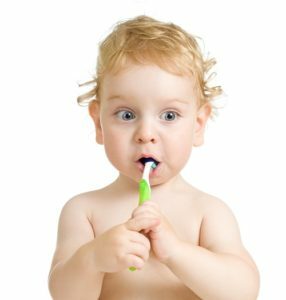 If your little one mentions sore or bloody gums after brushing he may be showing initial signs of gingivitis. Like most other dental concerns, gingivitis is treatable if caught early. If left alone, gingivitis can progress into periodontal disease (gum disease). The best way to avoid gingivitis and the more serious gum disease is to ensure your child is brushing properly twice a day. Toothaches are one of the most common dental problems that affects children and adults alike. However, they’re not to be taken lightly. A toothache is a sign that something isn’t right. Usually that something is a cavity, but it’s still best to see a dentist as soon as you notice the pain and discomfort. Maintaining your child’s appointments at our pediatric dental office in Long Island can go a long way in keeping any potential problems at bay. After all, preventing any issues in the first place is ideal. But if life gets in the way and your child needs to see a dentist in between regular visits, call to schedule an appointment today. Is Tooth Whitening Safe for Teens? Posted January 18, 2018 by Dr. Ehrenman & Dr. Khan & filed under Cosmetic Dentistry, General Dental Articles, Oral Care. As your child enters her teen years, she may begin to consider whitening her smile using over-the-counter tooth whitening strips. But as her parent, you’re unsure if smile whitening is safe for her growing grin. Our pediatric dental office in Long Island is here to provide you some insight on whitening strips and some risks of using them. As the popularity of over-the-counter white strips increases and buying them becomes easier, the American Academy of Pediatric Dentistry (AAPD) began conducting research on the safety of children and teens using whitening strips. Below we’ve outlined some of the main results found as part of these studies. Although whitening strips come with instructions, the AAPD’s research found a high user error when kids or teens tried using the product on their own. While this may seem like no big deal, if used incorrectly, teens expose themselves to risks of leaving the strips on for too long or even swallowing the product. The active ingredient in whitening strips is hydrogen peroxide. While the amount of hydrogen peroxide differs from product to product, some strips can contain as much as 13 percent. This isn’t usually a problem for adults, but the higher the hydrogen peroxide content, the more risks there are to kids and teens. As you may know a common side effect of using whitening strips is increased tooth sensitivity. This side effect isn’t limited to just teens or children either as many adults report sensitivity after using them. 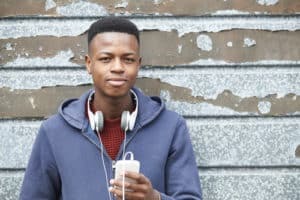 While it’s not clear if teens are at greater risk for more sensitivity than adults, it’s still a concern. So, Are Whitening Strips Safe for Teens? According to the AAPD and your pediatric dentist in Long Island, more research is needed to truly take a position on whether whitening strips are safe for kids or teens. However, that doesn’t necessarily mean your child can’t do anything to brighten her smile. The team at our Long Island pediatric dental office is committed to your child’s oral health and is here to get her a smile that’s not only strong and healthy, but also one that makes her feel confident. We welcome her (and you!) to talk with us about any concerns she may have about her smile so we can work together to resolve them. Posted December 26, 2017 by Dr. Ehrenman & Dr. Khan & filed under General Dental Articles, Oral Care, Prevention. We’ve got some fantastic news for all of our patients and parents with an active sweet tooth! It may come as a surprise, but the team at our Long Island pediatric dental office is telling everyone to go ahead and eat chocolate — for your smile’s sake! But before you head out to buy a dozen of your kid’s — or your– favorite candy bars, keep in mind that not just any chocolate will do. Recent studies conducted by researchers in the United States, England, and Japan show a strong correlation between dark chocolate and its ability to ward off decay, cavities, and problem causing plaque. 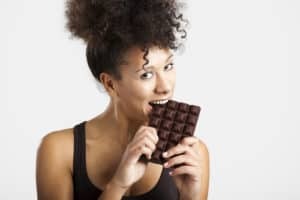 There’s even some evidence to support the idea that dark chocolate may be just as effective, or perhaps more-so, at fighting off cavities as fluoride. However, we’re not suggesting that you take a pass on your kid’s teeth fluoride treatments. More research and testing is needed before we can make an absolute claim as to the effectiveness of dark chocolate. It’s not necessarily the dark chocolate itself that has all the oral health benefits. In fact, most of the credit is given to compounds found within dark chocolate, or more specifically the cocoa bean husk. All of the beneficial compounds found in dark chocolate are incredibly unique in that they have the ability to fight off both bacteria and plaque. There are even talks of one of these compounds, CBH, becoming an active ingredient in some dental products such as mouthwash and toothpaste because of its benefits. Let’s face it. Kids love sugar. But when they eat anything that contains a lot of sugar they put their teeth at risk for decay and cavities. As they snack on these sweet treats, sugar gets left behind in the mouth. But it’s not the sugar itself that causes the problem, it’s the bacteria that feed on the sugar. As bacteria fuel up on leftover sugar particles, they also release acid as a byproduct. This acid wears away the protective enamel, leaving teeth exposed to decay. What’s so unique and interesting about dark chocolate is that the bacteria and plaque fighting compounds counteract this process by eliminating bacteria from the get go. It’s important to remember that these studies and beneficial oral health claims are limited to dark chocolate and do not include milk chocolate or white chocolate. Even so, not all dark chocolate is created equal either. Try to find dark chocolate with less than 8 grams of sugar per serving. If you can get your hands on organic dark chocolate, that’s even better. Besides having oral health benefits, dark chocolate is also loaded with antioxidants and can be beneficial to overall health too. As always, it’s also important, to maintain a proper oral hygiene routine at home and visit our pediatric dental office in Long Island twice a year for an optimally healthy mouth. Posted December 18, 2017 by Dr. Ehrenman & Dr. Khan & filed under General Dentistry, Health, Prevention. During pregnancy, mom-to-be’s body needs adequate amounts of certain vitamins to support not only her system, but her growing baby too. Vitamin D is one of these vitamins that serves an important role. A proper intake of vitamin D helps mom’s bones stay strong, promotes healthy cell division, and supports calcium absorption. But getting enough Vitamin D during pregnancy is also important to baby’s development and, perhaps surprisingly, dental health. At our Long Island pediatric dental office, we strive to keep our patients’ smiles healthy from the day they step into their first appointment. But recent research suggests that good dental health may begin even before your little one is born. According to one study, children of moms who had a vitamin D deficiency were at greater risk of developing cavities during early childhood. Of the 206 women studied, 90% of them did not have adequate levels of vitamin D. Fast forward a few months to when the researchers examined the teeth of the now 16 month old children of these women. They found that nearly 22% had enamel defects, which makes teeth more susceptible to cavities, and almost 34% already had decay. Even though you may not see your baby’s first tooth until he’s a few months old, all of his teeth are forming while he’s still in the womb. Just like bones, teeth need vitamin D to grow tough and strong. Since all of a baby’s vitamin and nutrient intake are dependent on mom during pregnancy, pregnant women need to get enough vitamin D in order to form health teeth. How Much Vitamin D Do You Need During Pregnancy? According to an American Pregnancy Association study, women who took 4,000 IU of vitamin D every day had a greater chance of carrying a baby full-term as well as decreased infections. Most prenatal vitamins contain only 400 IU, so additional sources of vitamin D should be added. It’s also recommended to get 5-10 minutes of sun two or three times a week. Pregnancy is such an exciting event, and we know you’re doing everything you can to keep your growing baby healthy. Once your little one is born, the best way to make sure his smile stays healthy is by seeing a pediatric dentist in Long Island when his first tooth pops through. Seeing a dentist early is a great way to get your baby comfortable with the experience and set him up for a lifetime of good oral health. Posted November 28, 2017 by Dr. Ehrenman & Dr. Khan & filed under General Dentistry, Prevention. Earlier this month, the American Cancer Society hosted its annual Great American Smokeout to encourage smokers to pick a day to work consistently towards quitting in order to reduce their risk of all the health complications that can result from being a smoker. But smoking doesn’t only affect the smoker. Those who live with a smoker can suffer similar health consequences to the smoker himself. This includes children. At our pediatric dental office in Long Island, our purpose is to keep kids healthy, and one way we can do that is by educating our community on the health concerns associated with secondhand smoke. 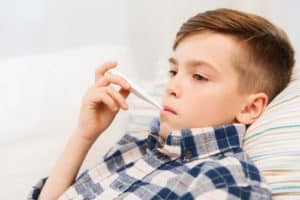 One of the potential problems from secondhand smoke that specifically concerns your pediatric dentist in Long Island is the potential link between it and cavities. A study conducted by the American Dental Association (ADA) showed a low to moderate risk of an increase in cavities in baby teeth subjected to secondhand smoke. Besides the potential increased risk for cavities, there are numerous other reasons smokers should avoid smoking with a child around. What’s more, children who grow up in a smoking household are more likely to become smokers themselves. Our Long Island pediatric dental office isn’t here to lecture but rather to help both our neighbors and neighborhood children live long, healthy lives. If you’re looking to quit smoking, there are plenty of resources online or in person you can use to help. We know it’s a difficult habit to break, but we believe you can do it! Posted November 16, 2017 by Dr. Ehrenman & Dr. Khan & filed under General Dental Articles, Oral Care, Prevention. ‘Tis the season of sniffles and coughs, body aches and congestion. It’s officially the time of year when the flu can make for a miserable few days. But it doesn’t have to take its toll on your kids or you. Our pediatric dental office in Long Island is here to help you prevent the flu this season with some helpful tips. This tried and true life lesson is probably one of the best ways to avoid the flu or the common cold. Make sure your child washes his hands with warm, soapy water before meals, after using the restroom, or after touching another person. If soap and water isn’t accessible, carry an alcohol-based sanitizer to use on him instead. It may sound gross, but toothbrushes can harbor all sorts of germs. That’s why it’s important to take proper care of it. Make sure your child is thoroughly rinsing his toothbrush after each use, and make sure you store it in an upright position to air dry. Keep his toothbrush separated from yours and all family members’ toothbrushes separated from each other to avoid cross contamination. And of course, never share toothbrushes. A body that’s hydrated it also better at fighting off germs and bacteria since it’s operating optimally. It’s recommended to drink at least 8 glasses of water a day, but during flu season you may consider increasing your child’s intake. Drinking plenty of H20 is not only great for the body, but it’s good for oral health, too. Having the areas where you spend the most time clean and sanitary is key to keeping germs away. Pay attention to things that get touched the most — door knobs, remote control, toys, faucets, and toilets. Germs are invisible to the naked eye, so even if it seems clean it can’t hurt to give it a quick wipe down. The CDC states that one of the most common ways germs are spread is by touching a contaminated surface then touching your eyes, nose, or mouth. These body parts have mucus that can easily transport germs into the body and make us sick. Following this these tips can go a long way in helping you prevent your little one from getting knocked down from the flu. However, if he does happen to catch the bug, our Long Island pediatric dental office encourages you to use sugar-free medicines to help alleviate his symptoms. Not only will these medications help him feel a bit better, they’re safer for teeth, too. As always, having a healthy mouth can directly impact how healthy we are overall. Make sure your child brushes and flosses every day and maintains visits with his pediatric dentist in Long Island at least every six months. Posted October 31, 2017 by Dr. Ehrenman & Dr. Khan & filed under General Dental Articles, General Dentistry. There are many things at a dental office that may be scary for your child. Between the bright lights, the gloved hands, the masked face, not to mention someone he may not know well poking around his mouth, it’s understandable. But what can you do to help him overcome his fear of the dentist so he can get the early dental care he needs? The team at our pediatric dental office in Long Island understands and are specially trained to help. In this blog, we cover five of the top ways to help ease dental fear. Start Early. According to American Academy of Pediatric Dentistry (AAPD), your child should see the dentist for the first time around his first birthday. The earlier you get your child to the dentist’s office, the better. Introducing your child to the dental office environment early helps establish a sense of understanding that your chosen pediatric dentist in Long Island is here to help, not harm. It also gives you the opportunity to build trust with the dental team so you’re just as comfortable at your child’s visits as he is. Make it Fun. Before bringing your child to his first dental visit, consider doing some role playing at home. Pretend to be a dentist, put on a mask and some gloves, and have your child recline and relax. Gently poke in his mouth with your fingers and simulate an actual dental appointment. Not only will your child feel comfortable with you, he’ll also be relaxed in in his own home. You can even take turns and allow him to become the dentist and poke around in your mouth. Count teeth, look at them in a mirror, use a spare toothbrush to brush the teeth on his favorite toys. Turning dental care into a fun game at home can really help make dental visits more relaxing and easy for both of you. Talk About It. Let’s say you’ve already conquered your child’s first dental visit. And it didn’t go very well. If you know ahead of time that your child is scared of the dental office, tell your dentist and dental team. Dental teams that work with children are trained to recognize dental fear and are skilled on ways to help. Visit Regularly. Like many things, dental visits tend to get easier with repetition. This is just one of many reasons your child’s bi-annual appointments are so important. Make sure you keep scheduled dental appointments to both help your child ease any fear and monitor his oral health for proper development. Our Long Island pediatric dental office is always welcoming new patients, either with a known dental fear or not. We’re happy to see all of the littlest smiles in our community and are committed to providing a relaxing and gentle environment. We welcome you to call us today to set up an appointment. Posted October 10, 2017 by Dr. Ehrenman & Dr. Khan & filed under General Dental Articles. October isn’t only when we celebrate Halloween, it’s also National Orthodontic Month. With this in mind, the team at our pediatric dental office in Long Island thought it’d be a great time to combine the two and talk a bit about which Halloween treats are safe for those with braces. Don’t worry, if you do have braces, you still have plenty of yummy options to choose from. At our Long Island pediatric dental office, we want all of our braces patients to have fun this Halloween and enjoy some treats. However, we also feel it’s important for them to be informed of what candy could potentially damage their brackets or wires so they also know what to avoid. Most importantly, be safe, have fun, and Happy Halloween from your Long Island pediatric dentist! 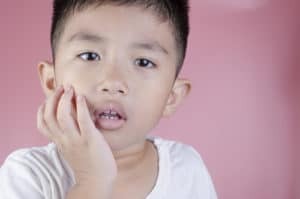 Does a Cavity in a Baby Tooth Really Need a Filling? Posted September 27, 2017 by Dr. Ehrenman & Dr. Khan & filed under Oral Care, Prevention. No parent wants to hear that their child has a cavity in one of his baby teeth. And they may be surprised that their pediatric dentist in Long Island is recommending a filling. After all, if baby teeth are only going to fall out, is a filling really necessary? Our pediatric dental team has some insight. Cavities are caused by tooth decay which can be brought on by improper brushing or flossing, too many sweets, or even by bottles full of milk at nighttime. They’re also incredibly common in kids. In fact, the American Academy of Pediatric Dentists (AAPD) reports that 60% of American kids will have experienced some level of decay by age five. Just like in adult teeth, if cavities are left untreated, the decay can spread and begin to affect more than just one tooth. But that’s not all. Cavities don’t only affect the mouth, but they can actually affect the whole body. When a tooth hurts because of a cavity, children may avoid eating because chewing makes the pain worse. This could lead to malnutrition and a host of other whole-body concerns. What’s more is cavities have even been linked to missed time in the classroom and some studies found a correlation between poor dental health and lower grades. Even though baby teeth are only temporary and stick around for just a few years, they still have an important purpose. Baby teeth not only help your child chew and eat foods that allow their little bodies grow, they also hold the place for the soon-to-come permanent adult teeth. As we age, our adult teeth are growing under the gums, and our baby teeth are reserving a space when it’s time for them to erupt. When baby teeth are lost too early the permanent teeth can shift out of their original position causing overcrowding or crookedness. To Get a Filling, or Not to Get a Filling? Our pediatric dental office in Long Island would encourage any of our patients to properly treat a cavity as early as possible to avoid any other potential problems now or in the future. The treatment is routine and done quickly and easily. We also have experience and training to help keep our patients calm and relaxed during the entire process. So while baby teeth will eventually fall out, it’s important to care for them and keep them in their place until they’re good and ready to come out naturally. But if you happen to suspect a cavity or your child is complaining of tooth pain, give your Long Island pediatric dentist a call to schedule an appointment as soon as you can. Posted September 19, 2017 by Dr. Ehrenman & Dr. Khan & filed under Oral Care, Prevention. As kids grow up they start to become more independent. They need less help from mom or dad with homework, laundry, and other everyday activities. Usually they’re pretty great at taking on these responsibilities with little to no trouble or risk of consequences. But when it comes to their oral health, less supervision could result in poor oral hygiene and a greater chance of dental disease. Our pediatric dental office in Long Island is here to help parents make the transition to having their teens care for their own oral health with our top four tips. Visits to your child’s pediatric dentist in Long Island at least every six months is still necessary to keep her growing smile bright, healthy, and cavity free. These appointments help catch any potential problems early while they’re still easy to treat and before they have a chance to become painful or lead to more advanced issues. We may also recommend protective sealants to keep decay away and fluoride treatments to keep teeth strong. If you’re looking for a dentist for your teen, we always welcome you to call our Long Island pediatric dental office.